I took these new photos this morning Aug 20, 9:30 AM ET from my backyard. was taken without a lens filter using my Olympus D-450 Zoom 1.3 megapixel camera. 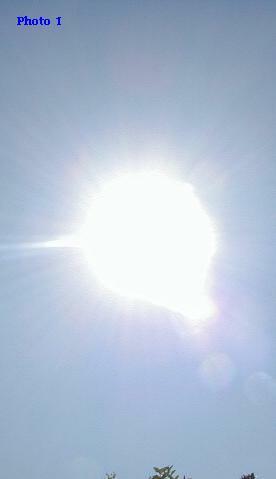 Notice the elongated, pear shaped image of the Sun. Several recent photos are showing this same type of formation, as Planet X is occulting our Sun as it approaches. 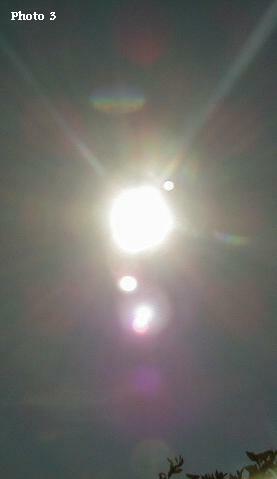 is showing the occulted sun with the red dust field approaching as evident by the many red circles surrounding the Sun. is showing us how much closer Planet X is getting to the Earth. 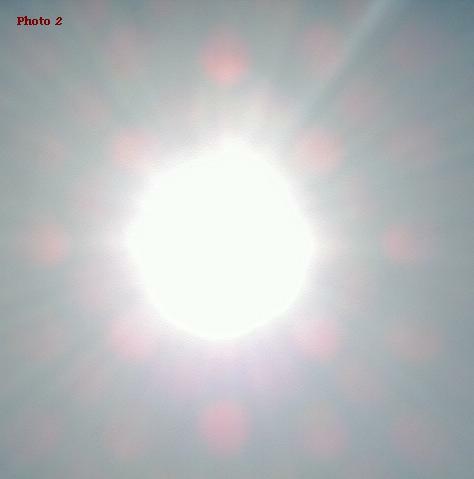 Notice that everything seems visible in this photo, the Red and White persona, the Occulted Sun image, the expanding red Dust Cloud, Venus to the upper right, and even a lens Flare from Planet X at the top of the frame.